RLE is the very last ASX-listed Cooper Basin junior with 100% ownership of all of its tenements. It doesn’t have a JV or an earn-in deal – yet – and all around it juniors are being snapped up in a frenzy of M&A activity to sew up acreage in the Cooper Basin – Australia’s most prolific onshore producing basin. Most recently Drillsearch’s takeover of Ambassador Oil and Gas, but also farm out deals have been struck with heavy hitters like Senex, Origin and Chevron. Once again – RLE is still a high risk, speculative investment – the BBY price target may never eventuate. In the following sections, let’s drill into the detail of RLE’s current work. Since the Next Oil Rush article East African Oil – Hot Tip of the Decade! , Africa Oil Corp (TSX:AOI) has been up 600%. 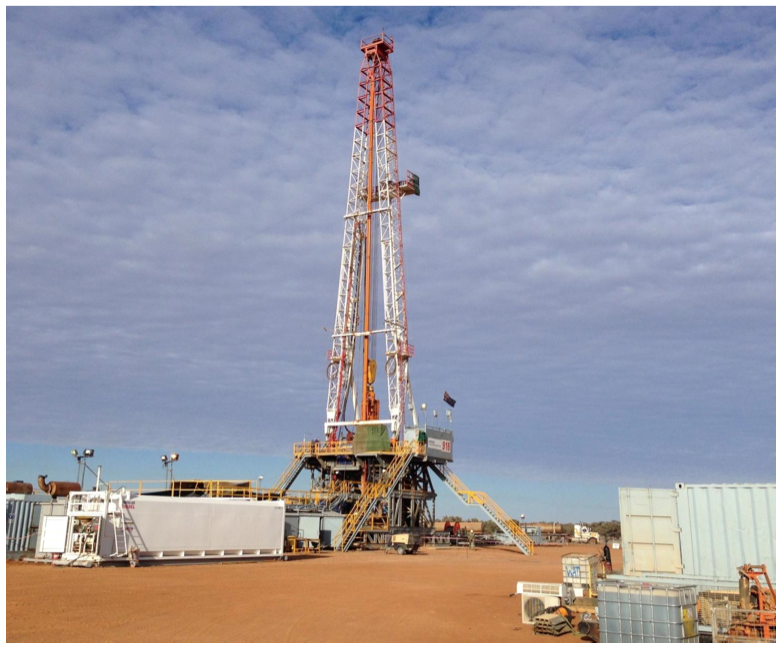 The Tamarama-1 well was designed to confirm the presence of gas in these formations so RLE can press ahead with a wider drilling programme to test for BCG on all its tenements. 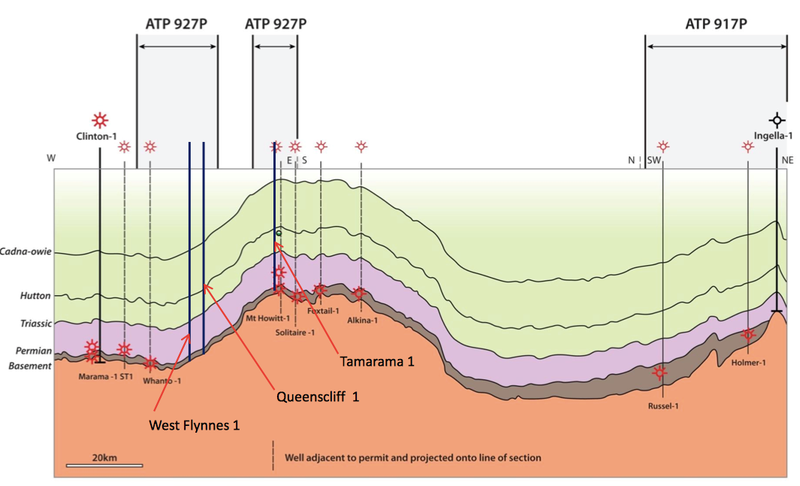 And it’s worth finding out – an independent geologists report prepared for RLE says the ATP927P and ATP917P tenements could hold a mean gross estimated petroleum in place resource of 10.2TCF of gas... Now RLE is a big step closer – Tamarama-1 has been drilled to a depth of 2,574m at the ATP 927P tenement and strong gas readings were measured. In the picture above you can see a tenement with a border that looks like a tuning fork – that’s ATP 927P and Tamarama-1 is in the bottom right corner. 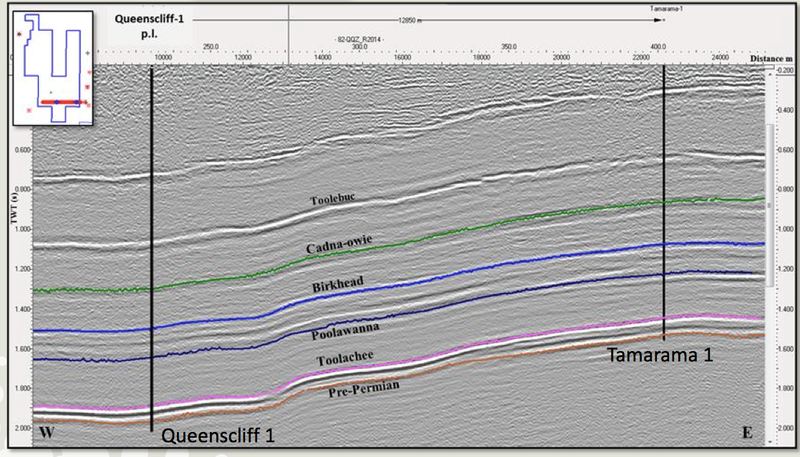 Now, just to the left is RLE’s next exploration well – Queenscliff-1 . Now that RLE knows for a fact that it has gas-saturated formations at the Tamarama-1 location it’s pressing ahead with drilling at the Queenscliff-1 site. This is an enormous game of join the dots and when it’s finished we could see a multi TCF gas reserve under RLE’s control. 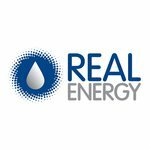 At the same time, it is RLE’s very first exploration well and it’s still early days on the path to confirming any gas reserves. Tamarama-1 has kicked things off in style, but now the real work begins. One successful well drilled – another on the way? 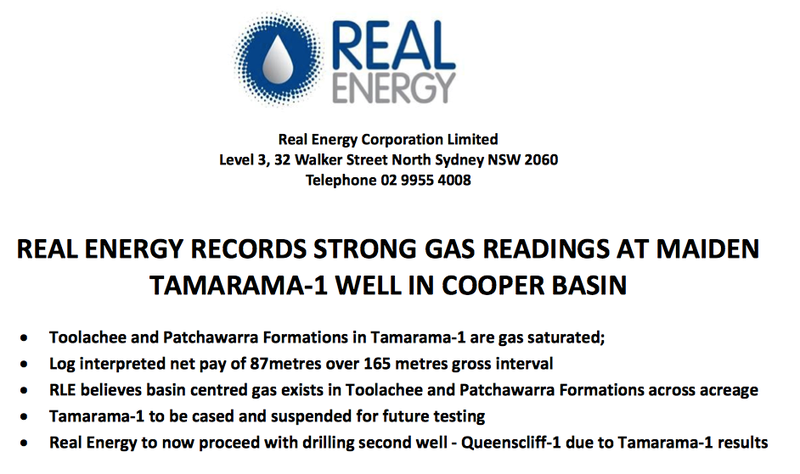 The success at Tamarama-1 means RLE can now press ahead with its next well – Queenscliff-1 – with the sure knowledge that it’s drilling in gas saturated ground. Anything it finds from now on will further illuminate its knowledge of the potential Basin Centred Gas play in its tenements. We should see an announcement from RLE in the next few weeks about its plans for Queenscliff-1, and maybe even some in-depth drilling results for Tamarama-1. 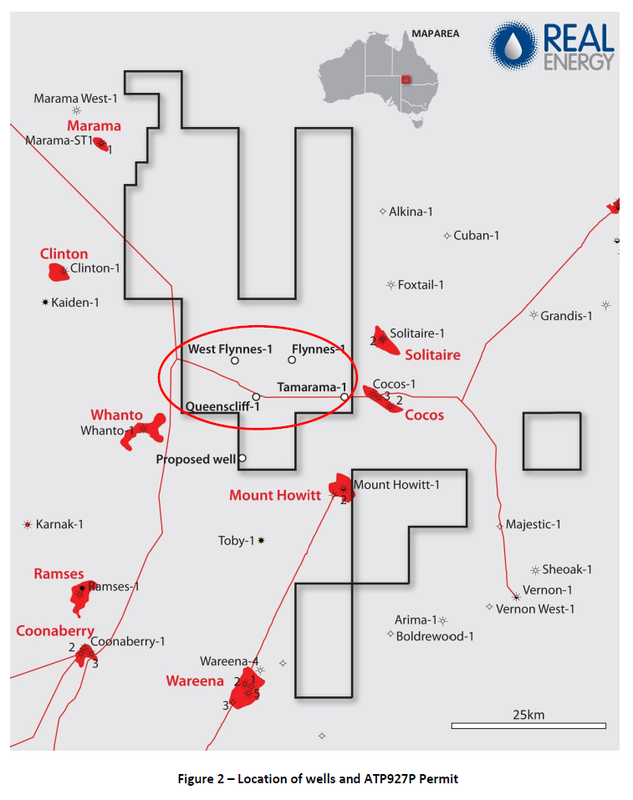 No matter what though, we now know that RLE has gas in the Cooper Basin. The only questions left are: how much is there, and can it be commercially viable to extract? This is going to take a few more wells at least. Keep drilling RLE!